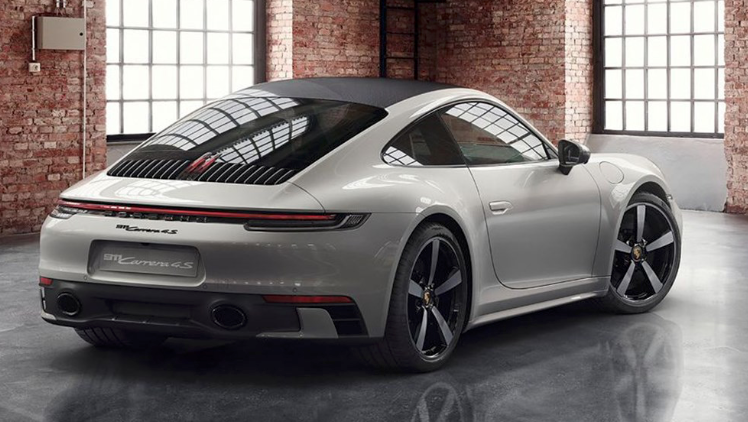 It’s finally happening – Porsche has unveiled a new 911 set to come out in 2019. At an LA motor show last November, the German car giant revealed the all-new design to its adoring fan base. As one of the greatest models ever manufactured, the 911 has a certain space in petrolheads’ hearts. So, how will the new one fair? Let’s take a look and find out. And, there isn’t much to choose between them in terms of specifications. Both the coupe and the cabriolet hit similar speeds of 190 mph to 192 mph depending on the version. That’s because they use the same 444 bhp 3-litre twin-turbo flat-six engine with an eight-speed PDK automatic gearbox. Acceleration rates are similar too. The typical 0-62mph speed is 3.7 seconds. However, it goes down to 3.5 if you opt for the Sport Chrono Package. Porsche has also put an emphasis on its carbon footprint. Gone are the days when manufacturers could release a model without caring about the emissions they release too. As a result, the combined emissions are 205g/km. As well as the emission standard Euro 6d-TEMP-EVAP, they've introduced a particulate gasoline filter to help the planet. Not much because there is a particular emphasis on mixing the old and the new. Considering the iconic status the old Porsche 911 has in the eyes of car-enthusiasts, this isn’t a surprise. Under the hood, there are a couple of modifications which have increased the top speed but only by 2 to 3 miles an hour. This is mainly due to the PDK transmission. Also, the 922 911 model is the first of its kind to have a naturally aspirated engine. Apart from that, the alterations are cosmetic. The thing that is noticeable is the lack of a roof on the Cabriolet S and 4S. Don’t worry if you’re anxious about getting caught out in the rain because Porsche has your back. Sporting a soft-top, pop-up roof, it folds into position in less than 15 seconds. It’s 12 seconds if you’re wondering. Plus, it’s made out of magnesium to ensure it holds its shape in high speeds/bad weather. If you are out in the cold, the rear-wheel, all-wheel drive function should help. 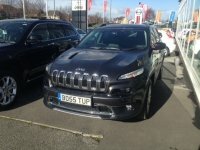 While the deliveries aren’t expected to start until March in the UK, there are still rumours in the pipeline according to Top Gear. Because the gearbox is currently an automatic, there is bound to be a manual version in the future. Plus, there is some talk of a more powerful Carrera GTS, as well as a Turbo version. If there is a turbo, there will inevitably be a Turbo S too. This is what everyone wants to know, even if you’re already sure it’s out of your price range! Both Carrera options are going to cost anywhere between £93,110 and £98,418 respectively. Leave room for perks which will boost the amount. For example, the rear-wheel and all-wheel-drive versions of these models will add ten grand to the retail value. Yes, you can expect to pay £102,755 and £108,063 for the RWD Carrera S and AWD Carrera 4S. The new Porsche 911 is available to order now, but only the Carrera versions. You’ll have to wait a little longer to get your hands on the coupe editions. But, petrolheads will still have to wait an extra couple of months before they receive the keys. UK deliveries begin in March, which is a full six-week to two months away depending on the specific date. 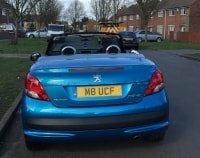 Private number plates don’t have to revolve around the make or model of the car either. You can tailor yours however you like, such as your name, nickname or birthday. With over 50 million plates to choose from, there are bound to be a few which are worthy of your new 911. 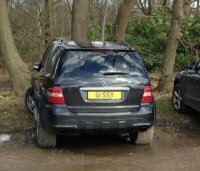 Private reg plates often get a bad press for being tacky and ostentatious. Well, they are far from either of these things. Sure, they help you to stand out from the crowd and be creative, yet that doesn’t mean you’re a show-off. In a world where every vehicle looks the same, it’s a smart move to be different. That way, you’ll never lose your car in a five-storey car park again! There is more to it than cosmetics. 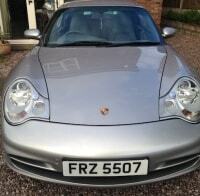 Think of the financial implications of owning a personalised number plate, especially one for a Porsche Carrera 911. As there is only one of them in the world, the value is never likely to depreciate. Even if it doesn’t go up in value, you’ll break even. Let’s face it though – Porsche-lovers will pay a premium for a quality private licence plate. Savvy people buy them without owning the car and sell them on to make a profit. Finally, there is the age issue. When you want to sell, the plate will disguise the age. If the vehicle is in top condition, it will help it fetch money. Primo Registrations has been involved in the industry for a long time and we understand our customer’s needs. That’s why we guarantee we won’t be beaten on price, showcased by our 0% finance deals. Plus, we’re transparent and reliable. Buy a personalised number plate from Primo Registrations and there won’t be any nasty hidden costs.